12" x 12" Mixed Medium on Gallery Wrapped Canvas. 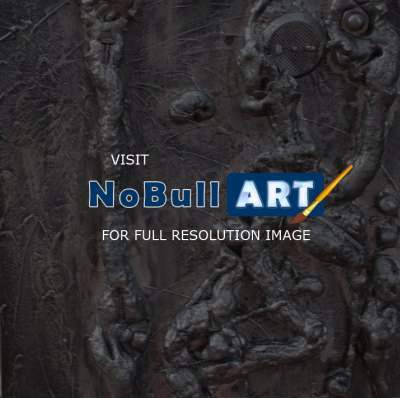 Very modern & lofty metal look sculpture on canvas & extremely lightweight. I can see all kinds of faces and figures in this painting. Whether the faces and figures were intended or not - they're very interesting. I like this piece very much.Would love to see it at every angle.